And the Britisher yells at them all. While returning from a trip to the West Indies, Ella Wheeler Wilcox had her fortune read (in tea leaves). It was predicted that she would only spend a short time at home before leaving on a long journey that would last over a year. Ella's mother then died just after Ella returned home. To get over her grief, Ella and her husband Robert took a voyage around the world, visiting places as distant and varied as India, Ceylon, Burma, Java and Japan. 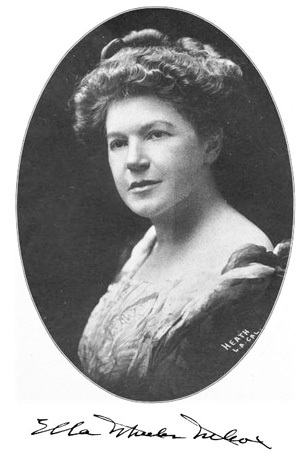 It appears that Ella Wheeler Wilcox was an advocate of Home Rule for India.